Montpelier, VT - Today, the House gave unanimous approval to H.3, the Ethnic Studies Bill. 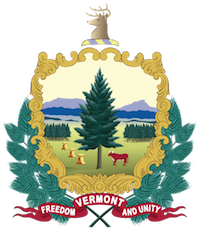 This bill creates an Ethnic and Social Equity Standards Advisory Working Group that will set standards and review student performance in order to accurately represent various ethnic and social groups in Vermont schools. “This bill gives a stronger voice to racial, ethnic and indigenous groups, women, LGBTQIA people, individuals who experience disabilities, and groups that have been historically subject to persecution or genocide,” said Representative Jill Krowinski (D-Burlington). “The working group will aid Vermont schools in properly addressing and reducing bias, harassment, and disproportionate patterns of discipline of students from marginalized ethnic and social groups. We are constantly working to better our education system and this bill gives our students access to a fuller, more accurate representation of history while shaping the culture in our schools to be even more inclusive and accessible to all Vermonters,” added Speaker of the House Mitzi Johnson (D-South Hero).